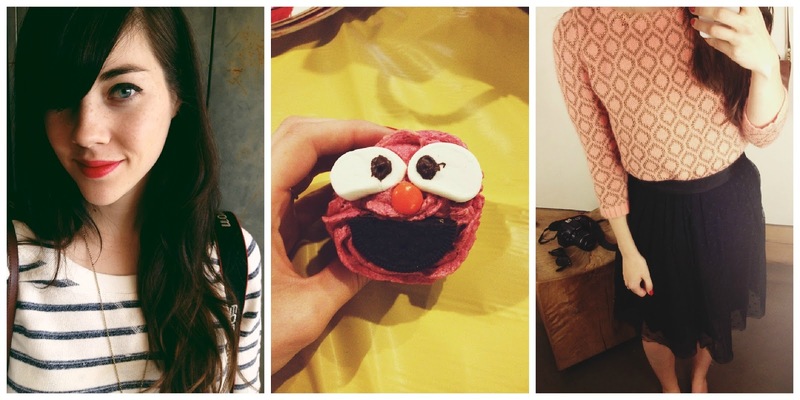 A week ago today, Gina and I headed out for a girl's night of sorts. 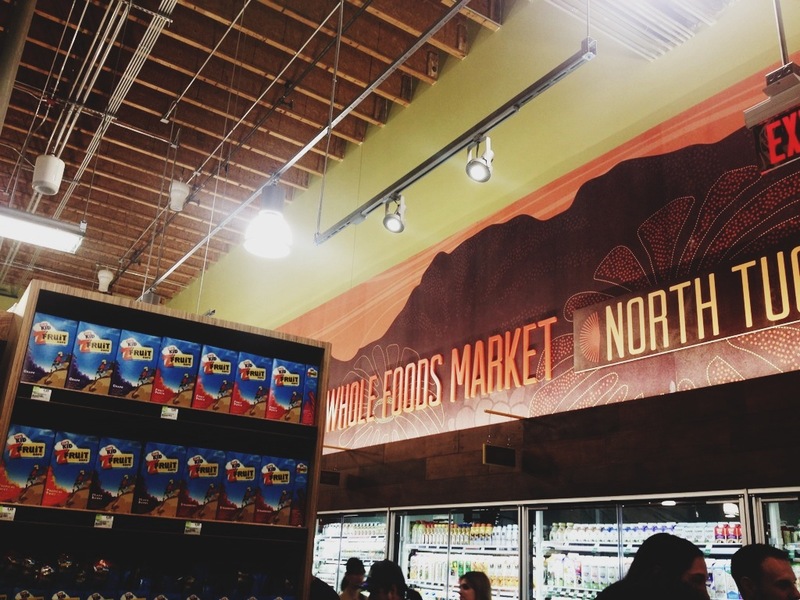 We were invited to a sneak peak at Tucson's most impressive Whole Foods. We have several locations around town, but this location (River&Craycroft for you locals) is mind blowing. There are several rows of "hot bar" ready to be devoured. Produce piled high, rows and rows of local and organic products, a juice bar, you name it. Gina and I explored the store (AKA ate a ton of delicious food). 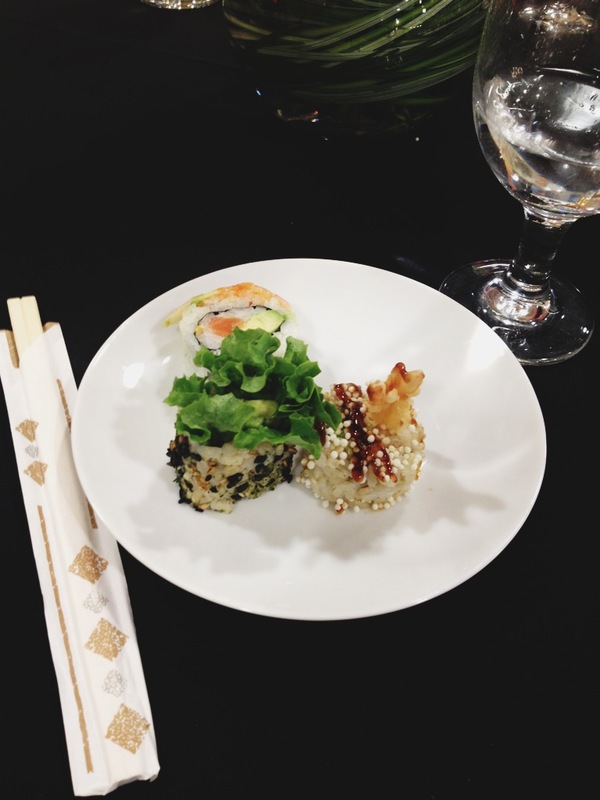 Fresh sushi rolls from the in-store sushi bar. 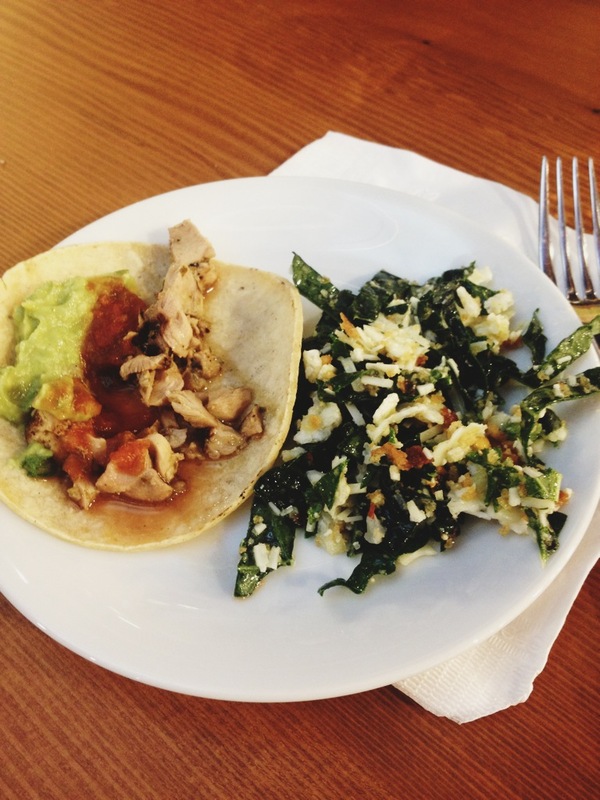 Chicken taco and a kale salad. 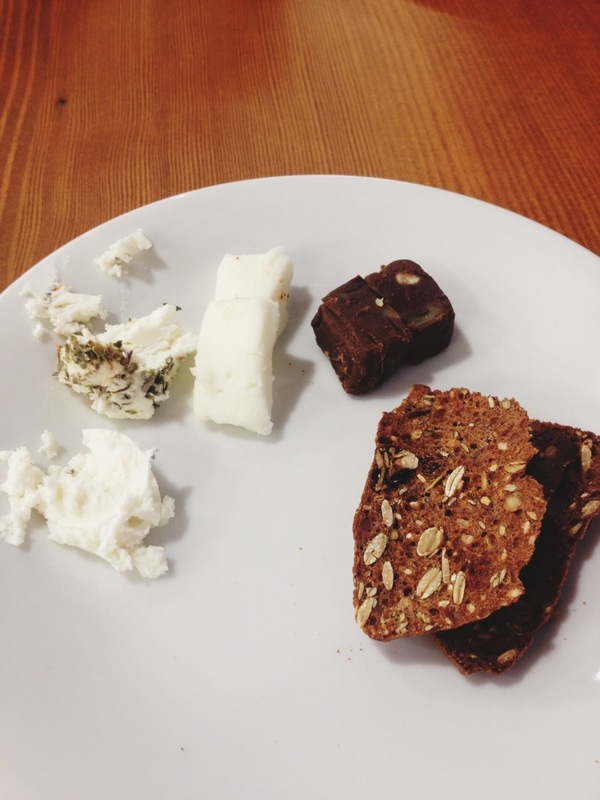 A variety of goat cheeses, and goat cheese FUDGE (!). I've already been back for more. Most people think I'm crazy for loving grocery shopping as much as I do, but the few who get me know where I'm comin' from. After the party, I headed to our local Apple store in search for some software. They didn't have it, so my next move was to buy a polka dot tulle skirt haha. Gotta love Anthro sales. The rest of the day shall be spent vegging out until Kyle's off, then we have a weight lifting date. Hope everyone has been happy and well! hey Megan! 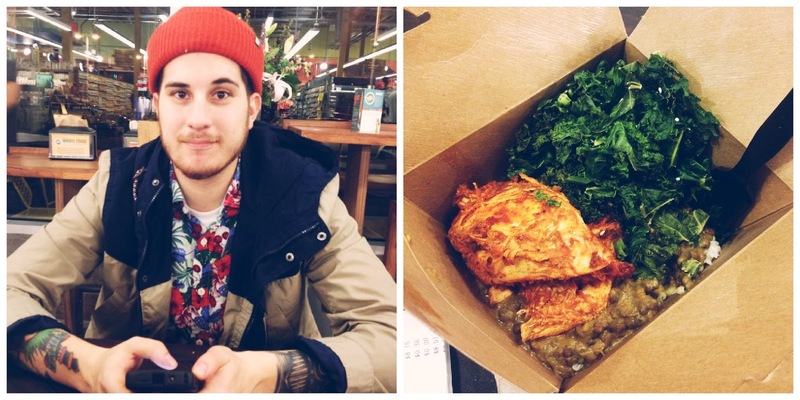 i love your outfit you're wearing at Whole Foods with Gina. where'd you get those boots? :D lovely post as usual!